– Tempurpedic King size bed, frame, mattress, box spring, headboard – $600 or best offer – incl. all bedding. – RoadMaster Sterling hitch – $500.00 incl. all cables, 10,000# capacity tow bar. 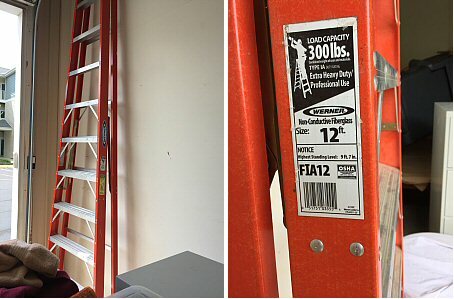 – 8′ fiberglass step ladder – $60. – Green Secretary desk – $50. – Mahogany Thomasville dining room set, includes table, 6 chairs and sideboard $500 or best offer in good shape.